If you’re looking for a typical yet in a way unique and low-cost device, then the AirSnore Mouthpiece with the AirSnore Drops as a combo pack is well worth checking out. The AirSnore mouthpiece seems to be a pretty typical mandibular advancement device, yet we found a lot to like while doing our AirSnore review. It’s offered by a company named Bauer Nutrition. They have a pretty solid presence in the nutrition/supplement market, and offer a whole line of alternative health products and different types of weight loss/sports nutrition merchandise. But is the AirSnore good enough to contend with other stop snoring devices on the market? Here’s what I found when writing the AirSnore review. Let’s take a look at the research and see what the facts say. The AirSnore is said to require ‘no special fitting’, though it does use boil and bite technology to achieve a custom fit. It’s said to cause no pain or discomfort of any kind, is immediately effective, and is low in cost. It also has a rather large breathing hole that would allow users to breathe as normal if they tend to breathe more through their mouth when they’re asleep – which is a pretty nice feature. This product is technically a mandibular advancement device – or MAD. As far as I can tell, there haven’t been any clinical studies conducted using the AirSnore device. There have definitely been some studies published about mandibular advancement devices in general – but as far as the AirSnore is concerned, I’ve seen no reference to any kind of study dedicated to it specifically. As far as I can tell, this product is not cleared by the FDA. You can buy this product from Bauer Nutrition for $49.95 USD – which is honestly a pretty good price – though it should also be mentioned that it doesn’t really come with any ‘special’ features that separate it from the competition. There are definitely cheaper devices out there that seem to do basically the same thing – though it also seems to be well made and to do a good job of preventing snoring. Probably so – if it works for you. If not, then you can make use of the 60 day money back guarantee to get your money back and try something else. Now, having said that, I should also note that Bauer Nutrition offers a combo kit that they call the ‘AirSnore Combo – Device and Drops’. This combo kit actually sells for $89.95 USD, and comes with both a mouthpiece and some drops that are said to help you sleep better. The drops are said to work by clearing the airway and providing a soothing, antiseptic effect. You basically rub it onto your chest, neck, and under the nostrils – and in doing so, you’re supposed to see much better results. When these are used on conjunction with the mouthpiece, you’ll probably notice quite a difference. Bauer Nutrition says that they’re a company whose mission is to ‘care for the health and wellbeing of our customers, helping you to feel good, look great and to perform to your maximum – each and every day.’ They sell products all over the world, provide 24hr customer support, and offer a 60 day money back guarantee on basically all of their products. The Bauer Group business address is as follows. I’m not completely sure how long this product has been on the market—but to be completely honest, I found very few customer reviews. It was, therefore, difficult to determine with 100% accuracy what customers in a wide range of situations seem to think about it. I will say this, however. I’ve done a few other reviews for various Bauer Nutrition products, and I’ve always found the company to be reputable – so if they are selling the AirSnore, that alone tells me that there is probably definite merit to the product. This product basically works by advancing the lower jaw during sleep. This opens up the airway and helps to reduce the odds of vibration occurring along the soft palate. Since constriction of the airway often leads to increased vibration when air moves through the throat, this helps to reduce the incidence of snoring – which is basically caused by vibrations. It’s difficult to determine what customers are saying about this product because I was able to find very little in the way of customer feedback online. There aren’t even any reviews on the Bauer Nutrition website about it – which is definitely surprising. If I had to guess, I would say that this is probably a relatively new product that hasn’t had a ton of time in the limelight yet. As with most mandibular advancement devices, you can probably expect to feel a bit of soreness at first – at least until you get used to it. It might take you a couple of nights to really get used to having it in your mouth. After 5 or 7 days, however, you should begin to notice a big difference in how it feels. If this device is going to work for you, then you’ll probably notice a reduction in soreness and an overall improvement in sleep quality by the time you’ve been using it for a week. Unfortunately, I didn’t really see anything particularly unique to mention in this department. I mean, it does seem to work, and it seems to be pretty well-designed. It’s also reasonably priced – but I also see it coming up short in some respects. It really isn’t doing anything that other mandibular advancement devices aren’t already doing. It also has no apparent clinical trials, a shortage of customer reviews, and an overall lack of unique features that cause it to stand out. It could definitely work for the right person, just like any other typical device could- but there just isn’t much about it that makes it look any better than some of the competition. It does, however, come with a 60 day money back guarantee – so that’s definitely a positive thing. I should also mention that ordering this device in the combo pack may be a much better idea. When paired with the drops, this product definitely offers something unique. There aren’t many stop-snoring mouthpieces that come with natural oil drops like this – so in this context, AirSnore definitely has an edge on some of the competition. The main difference between this product and other ‘typical’ solutions is probably the 60 day money back guarantee. 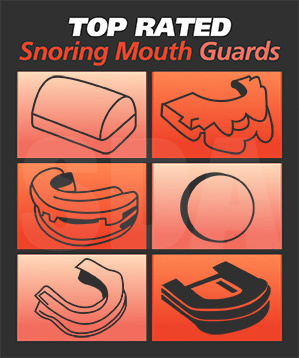 A lot of stop snoring devices don’t offer this kind of guarantee – so it’s nice to see it. But beyond that, the AirSnore is a pretty typical device. As far as I can tell, you don’t need a prescription or a doctor’s involvement to order or use the AirSnore. Here are the basic pros and cons that I’ve discovered about the AirSnore. The AirSnore is a pretty typical stop snoring mandibular advancement device. It uses boil and bite technology, comes with an awesome 60 day money back guarantee, and can even be shipped for free by Bauer Nutrition – which are all good things! Unfortunately, however, there wasn’t much else available that helped to distinguish it from the competition – unless you order the combo pack and get it paired with the sleeping drops that Bauer Nutrition also offers. If you’re looking for a typical, low-cost device that could work for you, then the AirSnore might definitely be worth checking out. It’s a solid contender – especially when paired with the drops. The 60 day money back guarantee is very nice as well – and for these reasons, you might want to consider trying it. After all, if it doesn’t work for you, you could always return it. This product costs $49.95 USD to order, and comes with free shipping – which is awesome! The best place to buy this product is from Bauer Nutrition – because they offer free shipping and a 60 day money back guarantee. I am wondering if Air-snore or any other devices work for people who have dentures. Yes, some devices can work for people who have dentures. You can usually find out by checking the FAQ section of the company’s website.